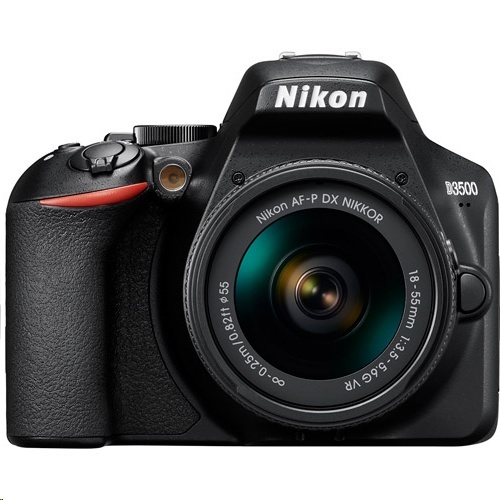 Capture and share stunning images with the Nikon D3500 DSLR Camera offering advanced features for high-quality results. 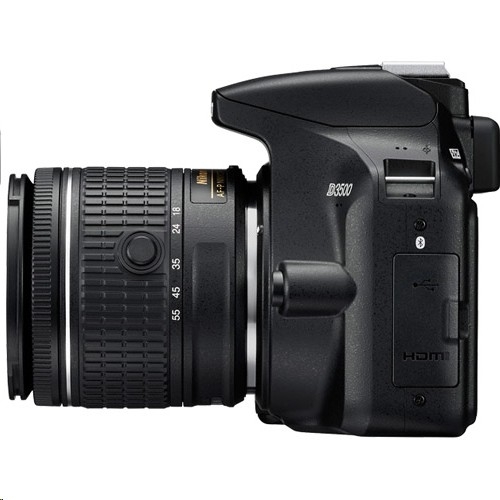 With a DX-format 24.2MP sensor, EXPEED 4 image processor, ISO of 100-25600, 5fps shooting, and full HD 1080p video recording at 60fps; the D3500 produces high-resolution stills and videos in all situations. The camera�s Multi-CAM 1000 11-Point AF system ensures quick and accurate focus in lighting conditions ranging from -1 to +19 EV. You can choose from 10 special effects to add creativity to your shots and make use of the Guide Mode for helpful techniques and guidance while shooting. 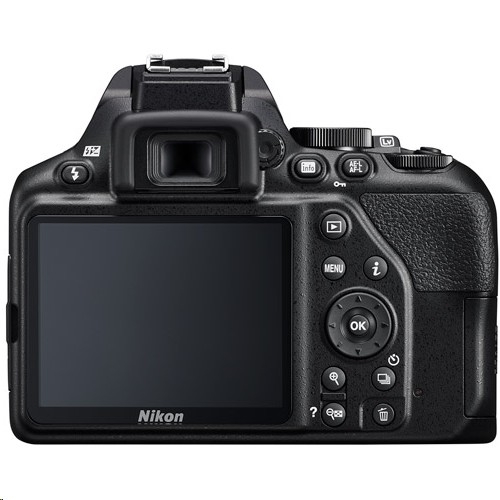 The D3500 features a 3.0� 921k-dot LCD as well as an eye-level pentamirror optical viewfinder. A pop-up flash is available for added light and the hot shoe allows for connection with external flashes.The Nikon D3500 packs all this in a compact and lightweight body design with SnapBridge Bluetooth Connectivity for fast and easy sharing. 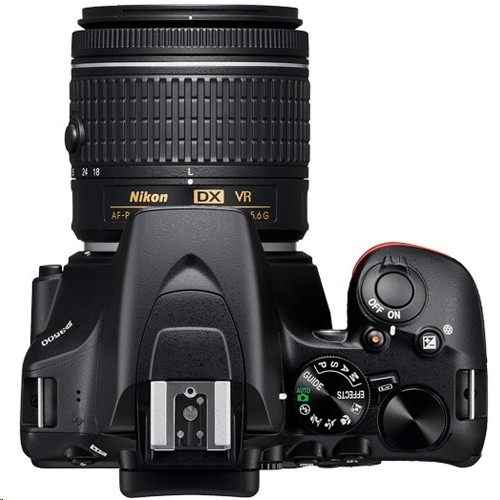 The included AF-P DX NIKKOR 18-55mm f/3.5-5.6G VR Lens is a standard zoom featuring VR image stabilization and aspherical elements for sharp and clear shots. Capture portraits, landscapes, videos, and more with this perfect everyday lens.